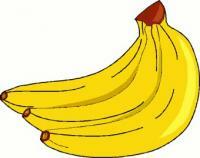 You, Presenting!® Case Interview Skills: Why I Love and Eat Bananas--Every Day! Why I Love and Eat Bananas--Every Day! I've heard both pros and cons about bananas in recent years. I've decided to just overlook the cons and go strictly with the pros. Why? Am I in denial or being naive? No. Almost everything we take into our bodies, both natural and packaged, has something in it that the 'experts' will tell us is not good for us. Whether fruits, veggies, or hotdogs, 'they' know best, right? Wrong. I will not give up my bananas or any fruit simply because someone else tells me they have too much sugar, or not enough Vitamin C, or they're low in fiber. Experts don't know everything. Bananas are simply too good to let go. And I won't! With that, I offer this site that shares some of the powerful benefits of bananas. Your fears are hereby assuaged. Eat and be happy! Please note: This site is part of Muscle Prodigy and this particular page addresses men's health issues but the benefits of bananas apply to both men and women. If you want more info on these bennies, simply search 'benefits of bananas' in Google or any other browser and you'll find more than you thought you'd ever want to know!